Have you been around in your organisation for some time? Or are you an expert in your field? Do you have a lot of knowledge and experience of life? If you answered yes to any of the above, are you sharing that wealth of wisdom around? Talk to any successful woman about what has helped them in their career, and at some point they will tell you about significant people in their lives who have mentored them. 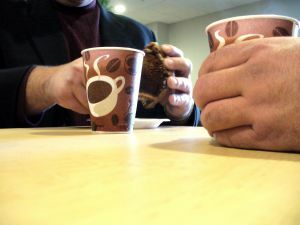 There are as many types of mentor as there are people looking to be mentored. Sometimes they are our role models, people we admire and aspire to be like. Sometimes they are people with a great knowledge of a subject that we respect and want to learn from. Or they may be people older than us with wisdom gained through life experience. Or they may be professionals, like me, who coach individuals with a clear contract on both sides. Just consider for a moment what you might have to offer someone, maybe someone new at your workplace? When training I find women have many more skills and talents than they give themeselves credit for. Don’t let all that experience and knowledge go to waste. Share the wealth! Who could YOU mentor?